This entry was posted in Wisdom & WordCandy and tagged gratitude, lessons from life, living life to the fullest, living with purpose by Cate Macabe. Bookmark the permalink. Thanks for posting. Totally agree. Gratitude is everything! Thanks for stopping by! 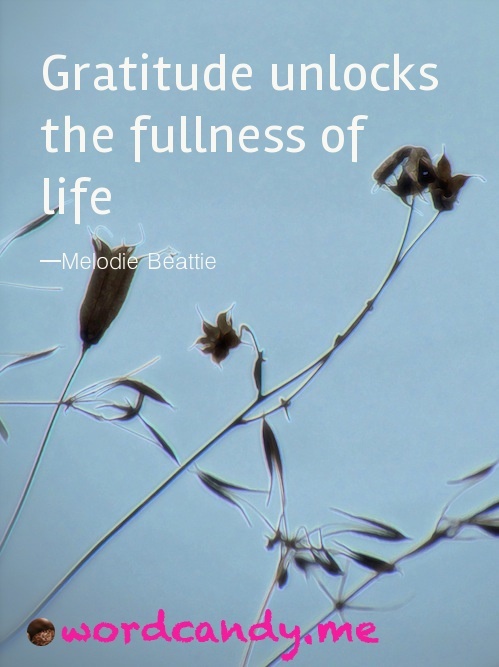 Yes, gratitude is one of those things that helps put things in perspective.